Broadcasting through a makeshift network of discarded televisions, KUSO is a shifting series of vignettes tangled in the aftermath of Los Angeles's worst earthquake nightmare. Travel between screens and aftershocks into the twisted lives of the survived. Blending nightmarish visions, animation and a shocking image of a distorted America, this is the daring debut and Sundance sensation from director Steve, aka renowned musician Flying Lotus. 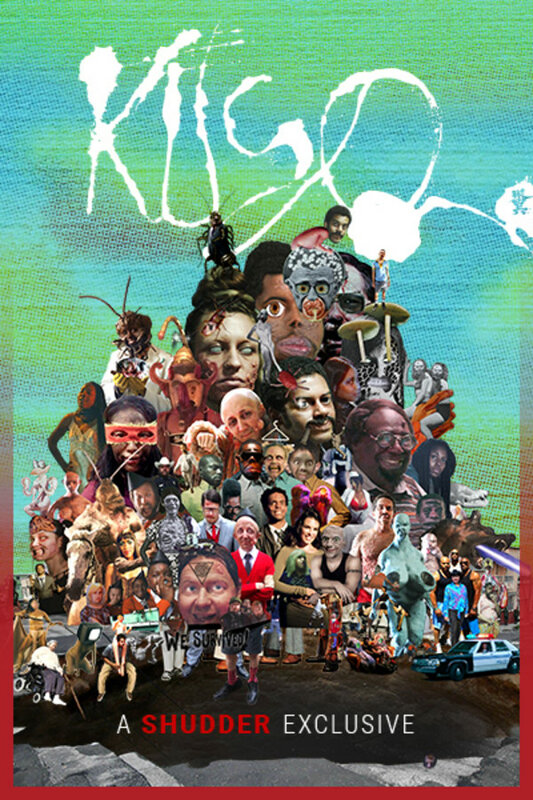 Delirious, provocative and darkly hilarious, KUSO is as verbose with macabre, music, melancholy and unimaginable imagery. You won't believe your eyes, or your mind. A SHUDDER EXCLUSIVE. This seems like that Pyrrhic attempt at creating something the critics will "love" and the audiences won't. I'm sure it's awesome to hear someone say you are brilliant, but getting paid for that same effort isn't outside the realm of creating art either. There's gotta be a happy medium in there somewhere--this is neither happy nor medium. Parts are good, parts are awful, in totality it's background noise at its best, white noise at its worst. Its interesting. heard reviews it was bad. i thought it was different. wasnt bad at all. A bit strange. I liked it.